The future of Banking in New Zealand –Your money Your risk ? If I gave you $10 to look after or if you like, hold in trust, would I expect you to use it to pay your debts? If you could not pay your debts would I expect the Government to pay them for you with my tax money? So why are banks any different? In 1992 our government bailed out the BNZ to the tune of 380 million using public money to prevent the bank from collapsing. This collapse is reported in an excellent movie called the INSIDE JOB . It is one which everyone should watch. It is a fascinating and scary Documentary which raises the question, how much more is going on out there that we are not being told about? 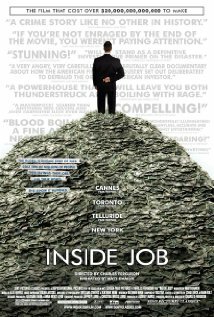 The movie starts with the 2008–2010 Icelandic financial crisis. As the movie shows this debt occurred because banks were lending sums greatly in excess of their actual investments and governments were persuaded by lobby groups not to legislate against this. There are three factors which have heightened the vulnerability of the banking and corporate sectors . 2. Insufficiently regulated financial markets which saw the collapse of many finance companies, particularly those implicated in fraud. 3. Corporations and banks with large domestic and external debt. Privatisation and the Global capital markets, pushed poorly regulated domestic financial systems while those who should have protected the public were diverted from this by lobbyists who had their noses firmly in the trough. Greed was the driver and due diligence was absent, those running round in ties and suits pretended to know it all when really like the rest of us they were just guessing. The only difference they were paid high wages the rest of us stood to lose. It may be that the Finance Minister saw the movie too because on 11 march he announced a consultation paper on the pre-positioning requirements that banks will be expected to comply with to fully implement the Open Bank Resolution (OBR) policy. I t would appear that the public does not get an input , I would suggest that each of us has to do their own due diligence as to where you put your money make the decision soon or there will not be one to make. There is nowhere that we can leave your own money that has a zero risk. As you suggest, we do need to do our own diligence. And the rest is up to chance…Thank you for keeping us informed. Good thing Gaynor isn’t right about the end of market discipline: with bank creditor recapitalisation set up on a hair trigger taking a haircut should be more of an expectation and should help keep them strong or fix them fast when they’re not. 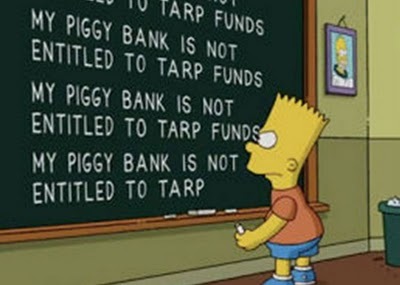 Bank’s don’t hold depositor funds on trust, they hold them on loan. One day the people will wake up to the fact that they are unsecured creditors with banks and insurance companies – but of course they dont get that until their money has actually disappeared. “It could’nt happen to me” syndrome is persuasive in NZ. Apathy wins every time. Strange how normal company structures have to rely on shareholders for a capital buffer, but large banks and insurance company institutions are able to use their customer’s funds as unsecured creditors to create a capital buffer. With very little accountability, that right to dip into the creditor pool of available funds soon turns into how do we milk it in the good times to create shareholder value? To date that has been mainly via fees. This new move should be applauded for creative thinking.